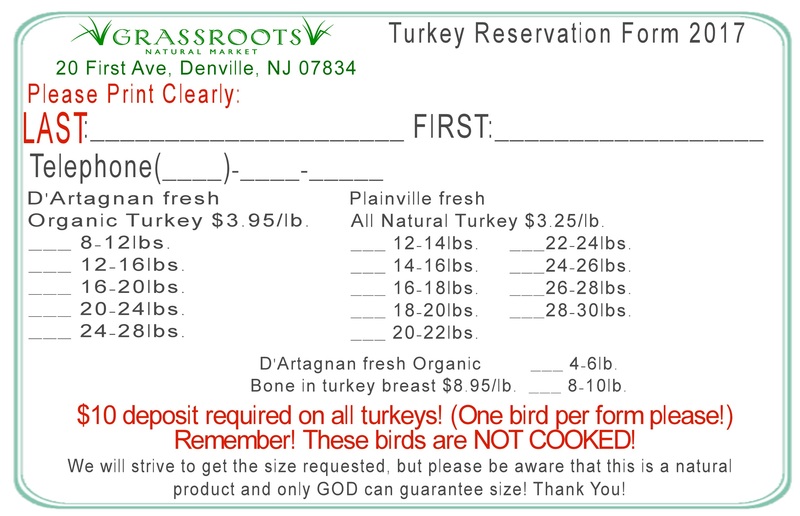 At Thanksgiving, Grassroots does everything but the dishes! 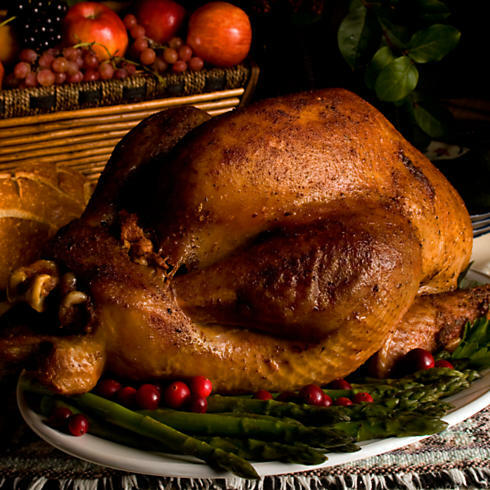 This year, our chefs are preparing a banquet that will have your family asking for more! We have a wide range of dishes that will satisfy most dietary considerations without sacrificing any flavor. 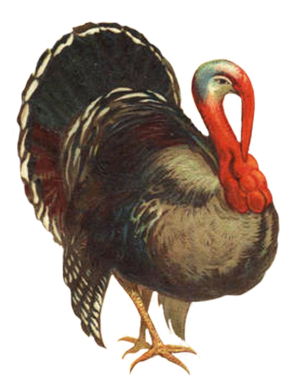 All of our dishes will look great along side your all natural or organic roasted turkey. We also offer a wide selection of gourmet pies and desserts prepared especially for you. 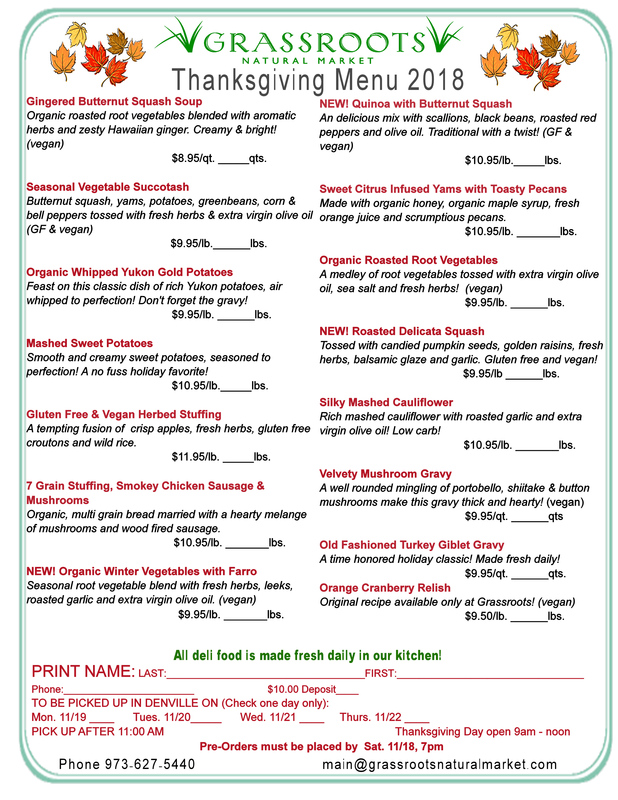 Order your organic or all natural turkeys, mouth-watering sides, and delectable deserts today! 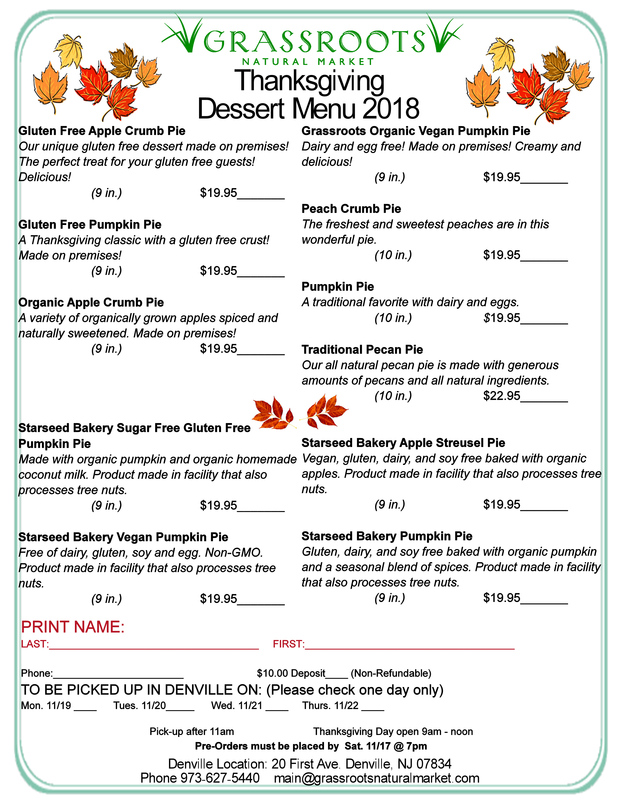 The Menus and Turkey Deposit Forms below can be printed out for your convenience. Please call 973-627-5440 for more information. Limited quantities available in store. Reservations will be taken in store or by phone. 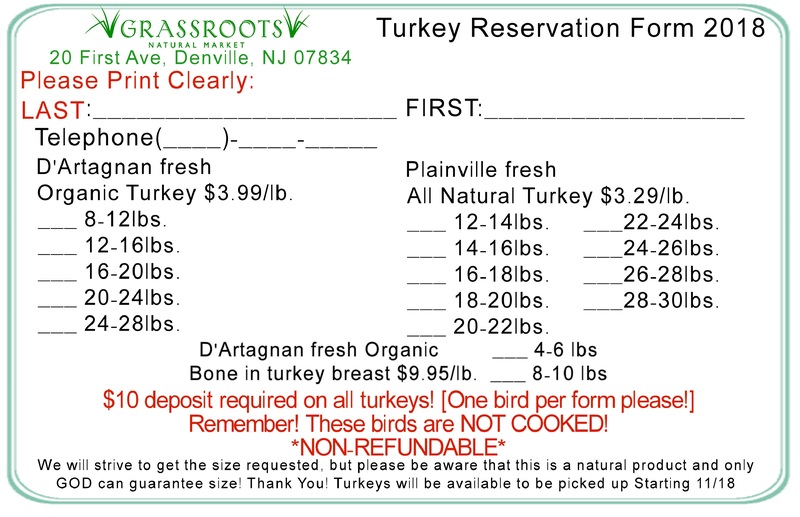 All reservation forms and deposits must be submitted to the Denville location by Saturday, November 17th by 7pm.